A Closer Look At The M.A.S.K. 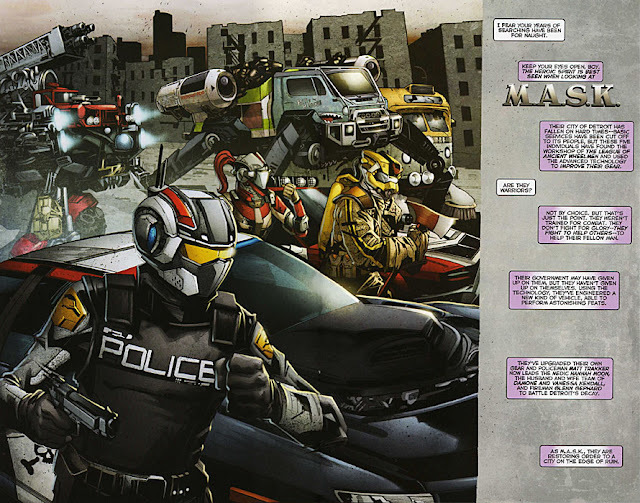 Police Force In Hasbro's 'Unit: E' Comic Book - Agents of M.A.S.K. All M.A.S.K. fans are eagerly awaiting some any word from Hasbro announcing a comeback. We've heard several rumors over the past year, but so far nothing has been officially confirmed. "Was M.A.S.K. 's popularity from 1985-88 not enough to do more?" "Is there a conflict with the sketchy TV rights preventing Hasbro from releasing more merchandise?" "Has Hasbro simply failed to come up with a good plan to bring the franchise back?" We may never know the true answer to M.A.S.K. 's almost dormancy over the past 24 years. 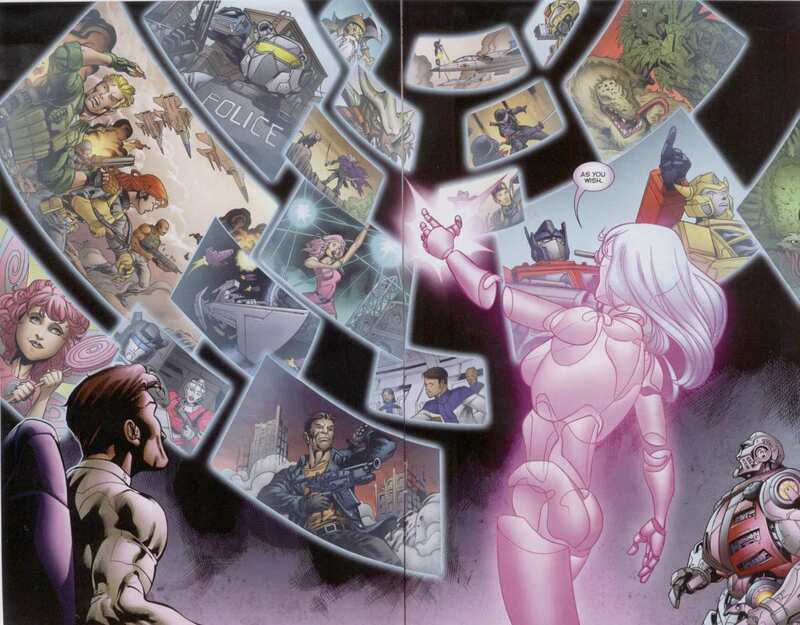 However, we can still explore the small amount of evidence that we do have which includes a brief appearance in a 2011 comic book. It's been something that I've been meaning to dive into for awhile, seeing some of my fellow enthusiasts like Scott from M.A.S.K. Comics Blog touch on the subject. Wyatt and I have also discussed it briefly during this year's M.A.S.K. Day podcast on MASKast. In 2011, Hasbro applied for a new trademark titled "Unit:E" which was even rumored to include a new movie. 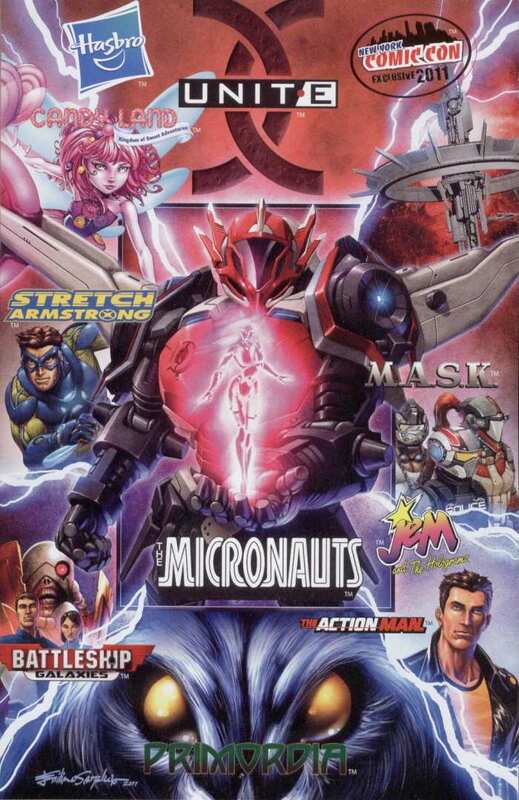 This new team seemed to combine several Hasbro properties including Candyland, Stretch Armstrong, Battleship, Micronauts, Action Man, Jem, Primordia, and M.A.S.K. which was evidenced by a New York Comic Con exclusive comic book. What has been never explained (or at least that I've found) is why this idea was never developed past this comic book. Unit:E was incorporated into the Transformers Prime series with Agent Fowler's back story (even mentioning M.A.S.K. vehicles during one episode), but nothing more has been produced about this "superforce" of brands. Some of Hasbro's top properties appear like Transformers and G.I. Joe along with the others seen on the cover of the book. At the top, we see again this new depiction of M.A.S.K. as a police force. We would assume this character to be Matt Trakker and in the background is some kind of large truck that appears to be flying with wheels converted like the DeLorean Time Machine. A few more pages into the magazine is a spread featuring an overall shot of the new M.A.S.K. team and vehicles. We also get a short back story which appears to be a conversation between two on-lookers of the scene. "I fear your years of searching have been for naught." "Keep your eyes open, boy. The heroic spirit is best seen when looking at M.A.S.K. Their city of Detroit has fallen on hard times -- basic services have been cut off to its people, but these five individuals have found the workshop of The League of Ancient Wheelmen and used the advanced technology to improve their gear." "Not by choice, but that's the point. They weren't trained for combat. They don't fight for glory -- they fight to help others -- to help their fellow man. Their government may have given up on them, but they haven't given up on themselves. Using the technology, they've engineered a new kind of vehicle, able to perform astonishing feats. They upgraded their own gear and policeman Matt Trakker now leads the medic Hannah Moon, the husband and wife team on Damone and Vanessa Kendall, and fireman Glenn Gephard to battle Detroit's decay. As M.A.S.K., they are restoring order to a city on the edge of ruin." In this new re-imagination of M.A.S.K., a post-apocalyptic worldview dominates the story and the team of five is the only thing standing between the civility and chaos. The environment created seems to fit a film like Mad Max: Fury Road but not for a TV-Y7 viewing audience. The characters seem vibrant and the transforming vehicles obviously fit the franchise. 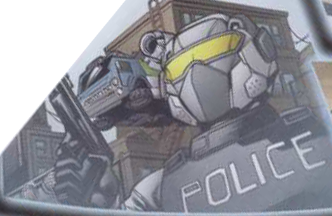 It's strange to me that the concept drawing does not depict any of the masks as weapons, rather "the policeman Matt Trakker" carrying a pistol. 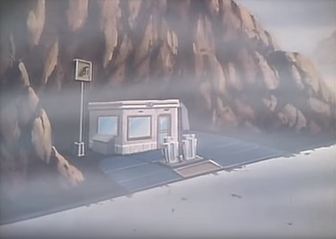 With the "government giving up on them", their battle could potentially be against more than just criminals which is different compared to their involvement with the Peaceful Nations Alliance in the original series. "What happened to cause this environment?" "Why is their only five agents?" "What is the League of Ancient Wheelmen?" "How would M.A.S.K. fit in with the other Unit:E properties?" So, it's been 4 years now since this comic book was produced. What is the likelihood that we see this depiction of M.A.S.K. again? We know that Hasbro has been promoting M.A.S.K. as a new brand since June 2015. Could this be the version of M.A.S.K. we eventually get? It's think it's very possible. It might not be the version that we want (or I want), but I would still be glad to see its full vision.